Matt Waters is an Emmy Award-winning sound designer and re-recording mixer. 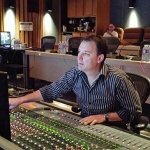 As one of the top post-sound artists in Hollywood, Matt has credit on over 400 productions. He is currently the sound re-recording mixer for Game of Thrones, for which he received a Primetime Emmy award in 2015 and 2013.